UV lamp is offered when you choose the UV curing. 1. Switch on the vacuum pump, put the two fibre into the parallel fiber holder, close the pressure plate (without elastic), and make one fibre in each slot. 2. Fix the two fibre in the rotatable holder, and switch off the vacuum pump. 1. 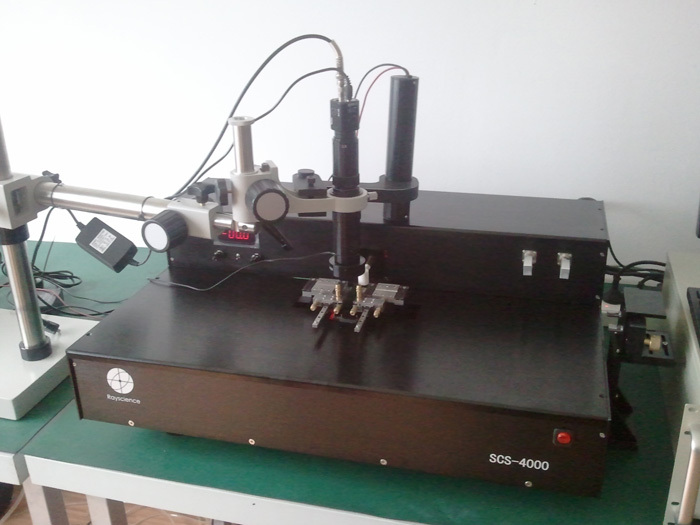 Power on the HeNe laser, and make the laser spot projected to one fibre; adjust the rotatable holder, and watch the movement of the fringe in reflective plate until the appearance of the turning point and make it still. 2. Move the HeNe laser slowly, and make the laser spot projected to the other fibre, adjust the fibre in the same way as above. 1. 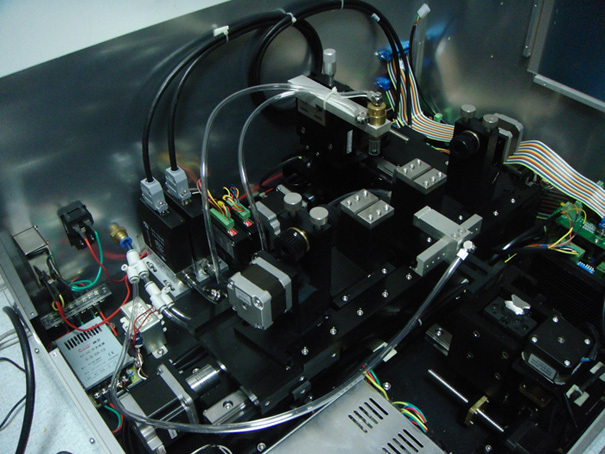 Power off the HeNe laser, open the image acquisition system, move the universal stand to make the CCD on the top of the fibre, and adjust the position of CCD to make the fibre and parallel clamp clear. 2. Adjust one of the parallel clamps first. 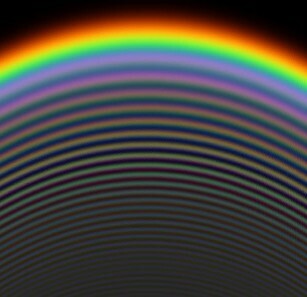 Rotate the ascend knob, observing the image in computer, until the fibre is just jacked up. 3. Adjust the two tighten knobs, and make the fibres close slowly. 4. Adjust the other parallel clamp in the same way after the adjustment of the first clamp is finished. 5. 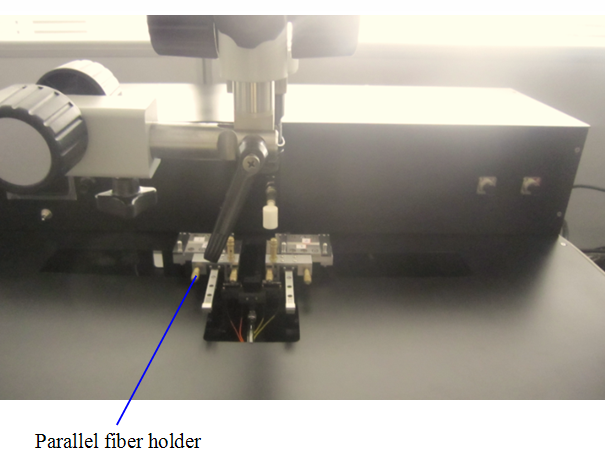 Then the fibre fixation is OK, observe via CCD and ensure the two fibres pressed closely parallel. Then remove CCD, and the coupler tapering begins.